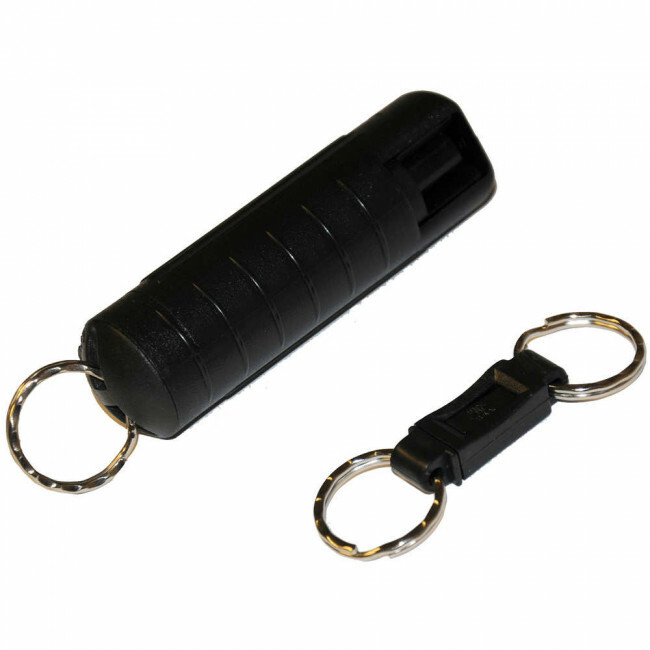 This red pepper spray is legal for sale in all fifty states The Quick Release with detachable key chain allows immediate access to your defense spray when unlocking a door or driving an automobile. The most popular SABRE style, the Quick Release, is a small, but powerful 0.54 oz container delivering a ballistic stream which reduces wind blow-back. This compact canister delivers approximately 25 shots with a range of 10 feet.